This is exactly the droid you are looking for…so that you don’t burn those Millenium Falcon cookies that you worked so hard on. Or that pan of Bespin brownies you wanted to cut into cloud car shapes. Or even your Princess Leia lasagna, with the noodles all knotted up like her hair from Empire. As usual, R2 to the rescue. This best kitchen timer ever is an official Star Wars product. It will time anything up to 60 minutes. Just turn R2-D2’s head to set it. When it is time, the bell rings for 5 seconds and you check your food. 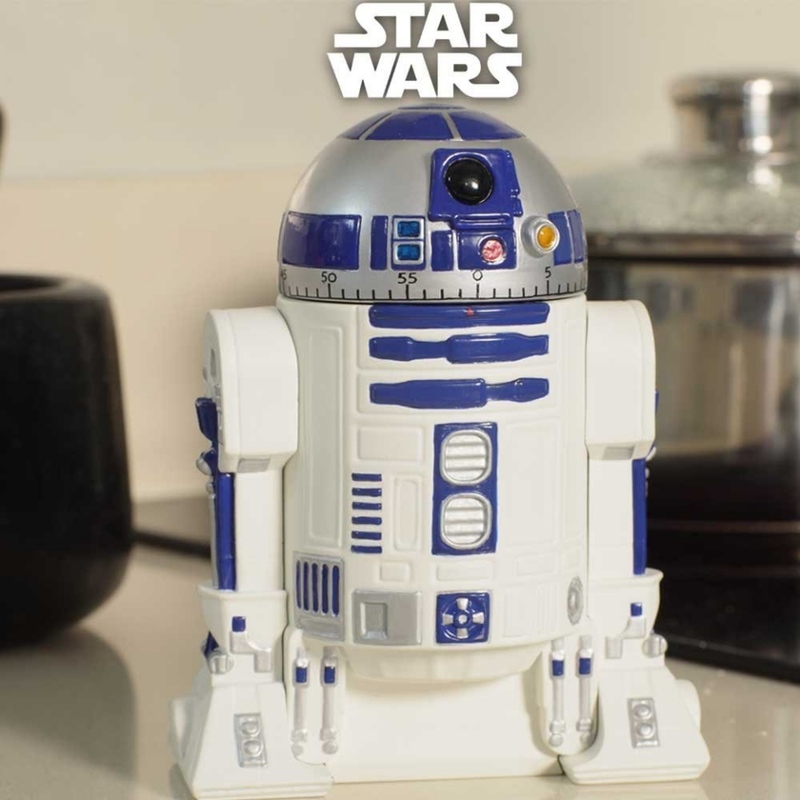 This little droid stands about 14cm tall and will be the coolest accessory in your kitchen. If he had this feature, R2 might have never left Aunt Beru’s kitchen. He is just $32.95 from Amazon.